India's Davis Cup captain and multiple Grand Slam winner Mahesh Bhupathi had played a key role in shortlisting 100 boys and girls across the country, before taking up the mantle of mentoring them. Ten kids from different parts of the country, including four girls, have been selected to represent India as the Official Kia Ball Kids for the Australian Open 2019, it was announced on Tuesday. India’s Davis Cup captain and multiple Grand Slam winner Mahesh Bhupathi had played a key role in shortlisting 100 boys and girls across the country, before taking up the mantle of mentoring them. He is going to train them now to carry out the duties of Ball Kids while enjoying a Grand Slam event among the world’s top tennis players. Kia Motors, the world’s eighth largest automaker, is a long-standing partner of the year’s first Grand Slam tennis tournament. It also drives the Kia Australian Open Ball Kids International Program, reserving the maximum number of seats for Indian kids. The initiative brought to India for the first time, witnessed staggering participation, with over 2,000 young tennis enthusiasts from across the country taking part. The kids are: Jennika Jaison (St Joseph School, Mumbai), Sarthak Gandhi (Strawberry Fields High School, Chandigarh), M Varshith Kumar Reddy (St. John’s High School, Hyderabad), Naman Mehta (LA Martiniere Boys, Lucknow), Ankit Pillania (ST. Thomas School, Haryana). The five from Delhi are Akshit Choudhary (GD Goenka Public School, Model town), Sonam Dewan (Mirambika Pre-progress School), Ribhav Ojha (DPS, Vasant Kunj), Swati Malhotra (Delhi Public School, Rohini) and Ananya Singh (Pragati Public School, Dwarka). 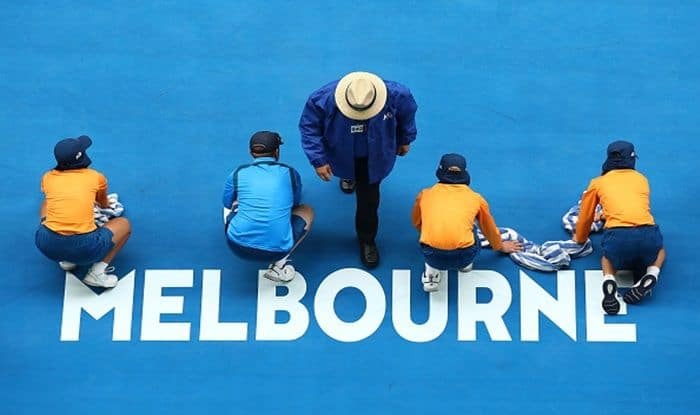 The company opened up entries for the program in October, with the aim of celebrating its long-term commitment to the game while also providing a global platform to young tennis enthusiasts. The first set of trials were conducted across four metros — Bengaluru, Delhi, Mumbai and Kolkata. They were put through five rounds of tests, including Rolling the Ball, Speed and Agility test, Spider Drill, Throwing the Ball and Communication skills. “I am thrilled to be part of this exciting initiative and am sure that this program will foster tennis amongst the young talent of India. It is a once-in-a-lifetime opportunity for kids and will definitely motivate them to enhance their skills and make India proud in the years to come,” Mahesh Bhupathi said at the event.